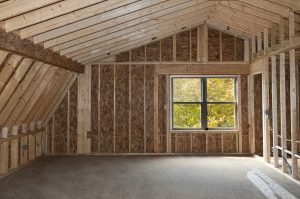 Home additions can greatly increase the value of your house. You can add a new bedroom, bathroom and kitchen to your home and rent it out as an apartment. Even smaller additions such as a new sun room or deck can make a big difference when you put your home on the market. Some renovations will add more value to your home than others. According to Remodeling Magazine, an upscale master suite addition in 2018 added an average of $123,797 to a home’s resale value, while an upscale bathroom addition added an average of $45,752. Of course, these home additions are expensive. The average upscale master suite addition in 2018 cost $256,229, and its corresponding increase in a home’s resale value only recouped about 48 percent of this cost. If you want more bang for your buck, try attaching a wooden deck. In 2018, the increase in a home’s resale value following a wooden deck addition recouped nearly 83 percent of the average cost of the project. No matter which renovations you choose, you must take certain steps to make sure that they actually improve the value of your home. First, make sure not to choose overly bright colors or any other crazy design elements. After all, while you might think that hot pink carpet looks cool, potential buyers might not be as impressed. Similarly, try to avoid the use of excessive wallpaper in any of your new rooms. Wallpaper is subjective, and the wrong designs could turn some buyers off. Finally, keep in mind that it is best to hire a trained and licensed professional. While this may cost you more money upfront, you can be sure that the work will be done properly. If you try to build home additions on your own, you may end up having to redo the work, which will just be more expensive in the long run.